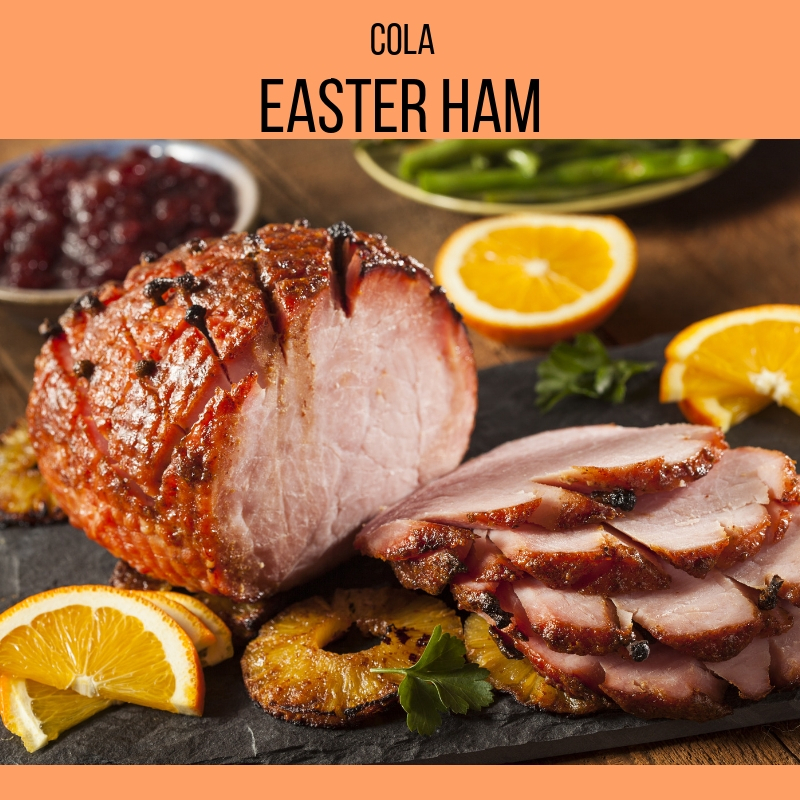 With Easter just around the corner check this yummy cola ham to impress your guests. Use a knife to score a diagonal pattern onto the ham with the lines about 1 inch apart. Place the ham in a large roasting pan and pat brown sugar over the entire surface. Some will fall into the pan, that’s okay.